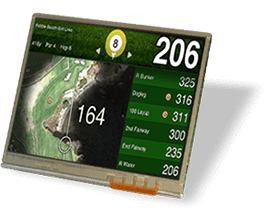 When your project demands the imagery and definition of a full-color display in an outdoor application, the Phoenix Display outdoor color LCD modules provide a solution to your color display needs. The two options to achieve outdoor color displays are the use of a transflective color TFT LCD panel, or implementing a sunlight readable enhanced tranmissive TFT LCD panel. 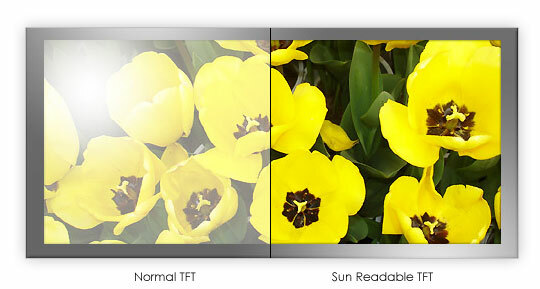 As the true transflective panel can be more expensive and are very limited in available sizes, Phoenix Display creates the sunlight readable configuration option from any of the standard transmissive color TFT displays. The sunlight readable enhanced transmissive display use a combination so f films and high bright backlight to achieve a configuration that is much more usable in an outdoor environment. This configuration can be created from almost any of the existing color TFT displays, so please contact us if you do not see the display that you need listed here. 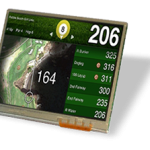 Available in a variety of sizes and capable of displaying a full range of color, the standard transflective TFT color and sunlight readable LCD display modules can be integrated into any number of projects in multiple outdoor applications. Phoenix Display can also create a semi-custom design around any of these standard Transflective or sunlight readable LCD displays to better suit any project. 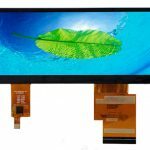 The TFT LCD display modules are now Phoenix Display’s most popular color LCD screen technology, offering clients super image quality and vivid color reproduction in a versatile, dependable, and sunlight readable display module. Designed to meet the ever-growing need to display graphical content with high brightness, high contrast, and full-speed video capability, our full-Color LCD modules are suited to handle today’s graphical display needs in stunning, lifelike color. With the additional line of transflective and sunlight readable standard platforms, Phoenix Display is able to address the unique needs of those customers with challenging outdoor applications and provide LCD display solutions that provide exceptional performance in this challenging environment. 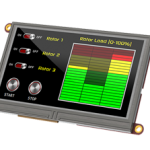 View our selection of transflective color LCD screen modules below or contact Phoenix Display International for a custom LCD/TFT quote in less than 24 hours.